Do you know what we really love, here at The Test Pit? Before you shout out 'drones!' and 'LEGO!' and possibly even 'dicking about!' the actual answer is technology that kills more than one bird with one stone - especially when that relates to our smartphones. We check out such a gadget, the Fonesalesman MusiQi. You might recognise the rather unique name of Fonesalesman from previous reviews of other clever wireless charging devices. 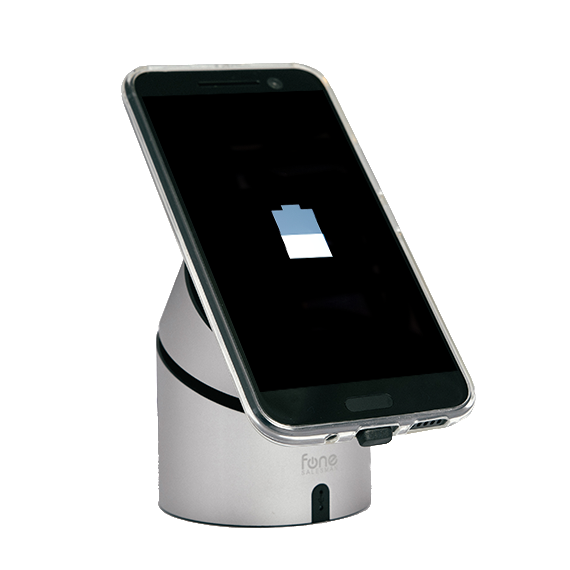 The Fonesalesman MusiQi is a similar gadget, allowing you to place your Qi-enabled smartphone on the top, and receive a healthy dose of power - wire free. 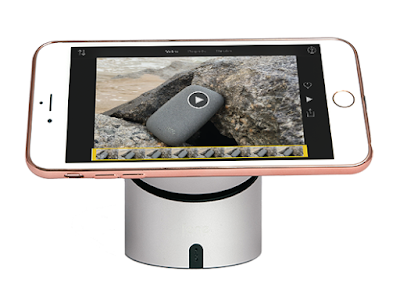 However, unlike their previous chargers, the MusiQi does a lot more than simply juice up your talky-box. 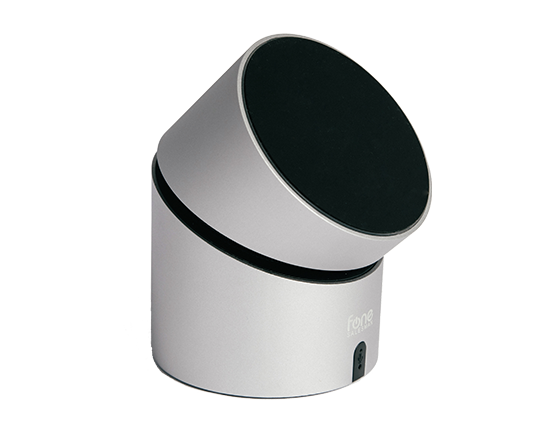 As well as charging, the Fonesalesman MusiQi is mainly a Bluetooth speaker, one that packs quite a punch. There is a 5W mono speaker inside this thing, and when placed on any solid surface it can reproduce a fairly impressive amount of bass and reverb. You pair your phone as per usual, then you can either place it on top, of just use it from a distance, with the Bluetooth pushing a range of ten metres or so. However, if you do choose to leave you device on the Fonesalesman MusiQi, perhaps to receive a charge, either from the onboard battery, or while it is plugged in to a USB, you have some options there, too. The top of the device rotates, and as the plane of rotation is angled, it spins around to create an ergonomic viewing angle. As the top surface is coated in a very grippy rubberised material, your phone should cling to it and stay put, no matter what your phone, or phone case, is made from. This means that even while playing music and/or receiving a charge, you can still comfortably use your phone, as the screen is angled toward you. 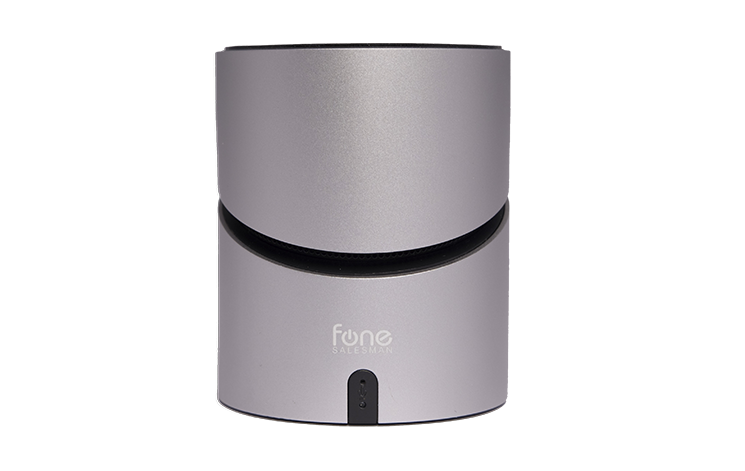 This also means you can take total advantage of another of the Fonesalesman MusiQi's features - that of a speakerphone. In terms of charging, the MusiQi performs very well, bearing in mind that Qi charging is never as fast as wired charging. Still, depending on your device, you should receive an easy connection, and the grippy surface helps in finding the correct placement of the phone. It also means it won't fall off, which is something we found occasionally happened with the QiStone+. 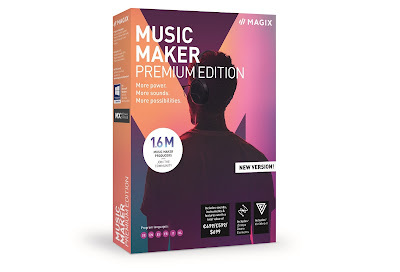 In terms of music, the speaker is very good, and as we said produced some deep and rich sounds. It is certainly room-filling, and also very clear and crisp. If you're after a personal and intimate musical experience, it's fine. That sound quality also shines through when on calls, as voices sounded clear and close, with the caller being able to hear us without issue. So, this is a charging dock, a speaker, and a speakerphone. And, also, just a stand for your phone, if you wanted to prop up the screen so you can see it clearly on your desk, power or no power. 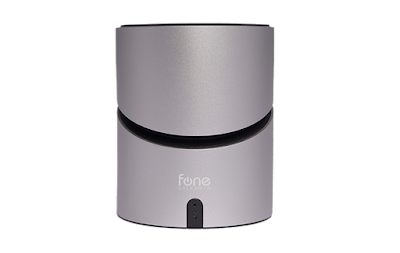 The Fonesalesman MusiQi ticks a lot of boxes, and all of them are things we need in a phone accessory. Big win for Fonesalesman.